Mumbai, April 4: Defending 170 isn't easy at the Wankhede Stadium, but Mumbai Indians (MI) pacer Jason Behrendorff set the tone by sending back Chennai Super Kings (CSK) openers Ambati Rayudu and Shane Watson in his first two overs and skipper Rohit Sharma said that it was just what was expected from the Australia pacer. "Jason has been great for Australia with the new ball and we all know what he is capable of. Did the same for us and his spell early on set the tone," he said. MI beat CSK by 37 runs | Mumbai Indians vs Chennai Super Kings Live Cricket Score 15th T20 Match. 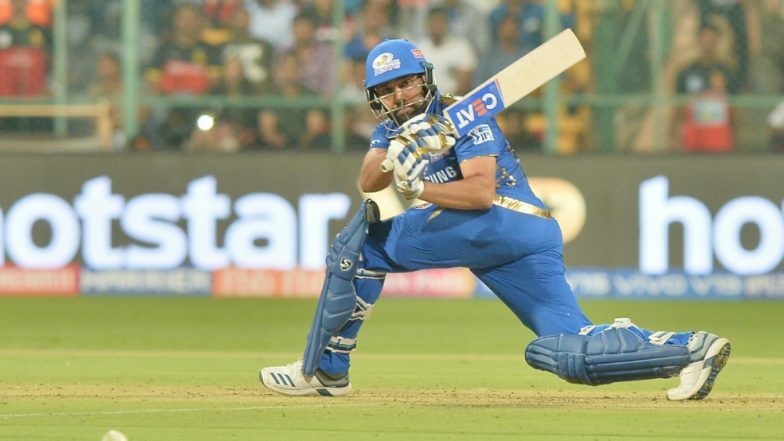 Rohit said that winning and keeping the winning habit going was important as MI didn't want to get to a situation where they need to win almost all the games in the business end to qualify for the playoffs. "I think every game we play in the IPL is important. Having lost two games at the start, suddenly every match becomes important. We don't want to keep that task of having to win many games at the end, it's really difficult. We just wanted to play the brand of cricket Mumbai Indians are known for. We just kept ourselves in the game all the way through and those are good signs," he said. "Rahul also seemed promising, bowled just the two overs but there was a reason for that as MS and Kedar play spin well. So, I went on with the pacers," he said.